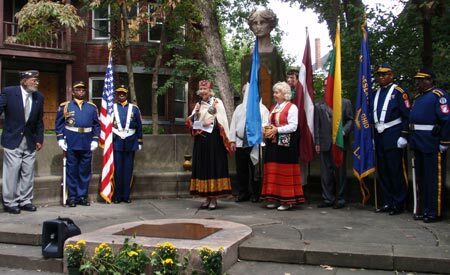 On September 14, 2008 soil from Estonia was mixed with the soil of dozens of other nations at the American Legion Peace Garden. 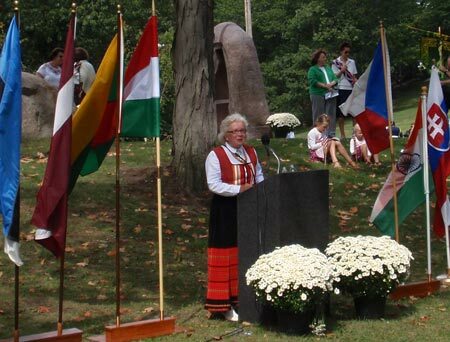 The ceremony was part of One World Day 2008 in the Cultural Gardens in Cleveland, Ohio. 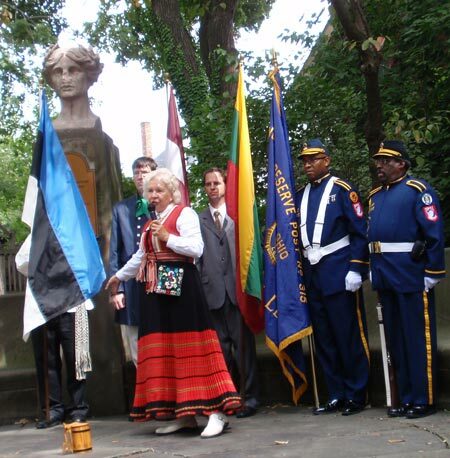 Erika Puussaar says that the Blue in the Estonian flag represents the beautiful blue skies of Estonia. 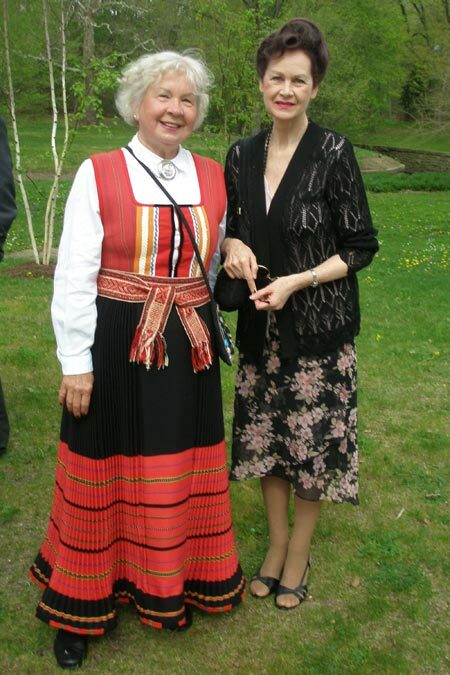 The Black represents the rich soil and the White their clean souls. 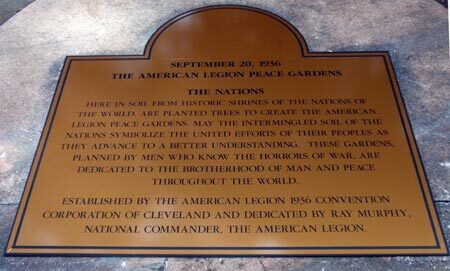 Here in soil from historic shrines of the nations of the world are planted trees to create the American Legion Peace Gardens. 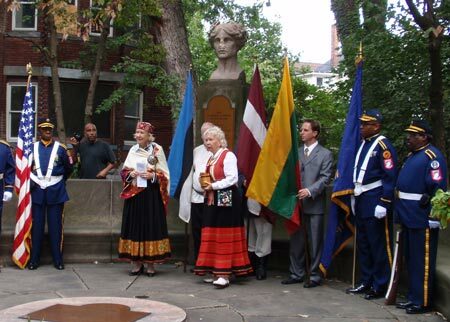 May the intermingled soil of the nations symbolize the united effort of their peoples as they advance to a better understanding. These gardens, planned by men who know the horrors of war, are dedicated to the brotherhood of men and peace throughout the world. 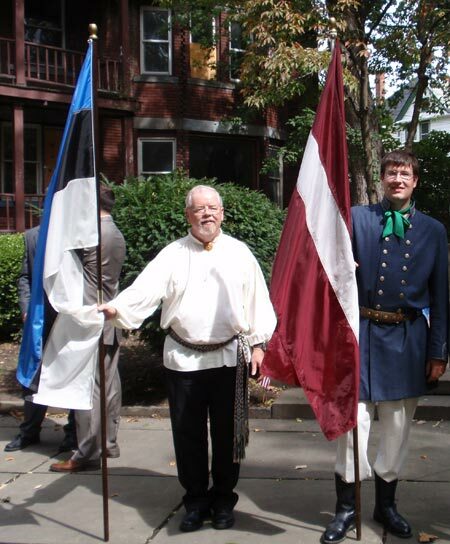 If you want to reach the Estonian community in Cleveland and Northeast Ohio, please contact us.